Neck pain is extremely common, affecting 50 – 70% of people at some point in their lives. Fortunately, most neck pain is ’mechanical’ in nature – coming from the tissues (muscle, joints, nerves) in the neck – and typically responds extremely well to chiropractic care. What is the source of the pain? Is it a muscle, a nerve, or joint? The type of tissue that has been injured will dictate the best forms of treatment. You can find out more about specific types of neck pain here. 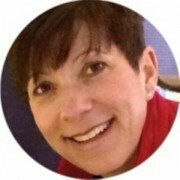 What is the underlying cause of pain? Unless the pain is a result of trauma (e.g. a car accident or fall) there is likely an underlying problem which has led to overload of the neck and eventual pain. Careful examination, assessing movement patterns, restrictions, weakness and assymetry can reveal these underlying cause(s). Learn more here. What does chiropractic for neck pain involve? Treatment is tailored to the patient dependant on the findings from the examination. Chiropractic aims to treat the both the local symptoms and the underlying cause(s) which is a big factor to why chiropractic treatment for neck pain is so successful. Treatment may involve mobilisation/ manipulation, soft tissue work, dry needling, exercise, along with ergonomic and nutritional advice. This is explained in more detail below. How does chiropractic for neck pain work? 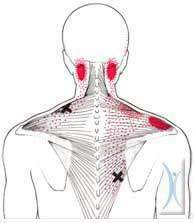 Restriction in the movement of the cervical facets (the joints of the neck) is a common source of both neck pain and referred pain (see image). Chiropractic manipulation is a very effective approach to restore proper movement to these joints to treat local and referred pain. Manipulation can also be effectively used to treat underlying neck pain causes. For example, if there is stiffness and restriction in the joints of the middle back this can result in a forward head posture. This forward position of the head places an increased stress of the muscles, joints and discs of the neck which overtime can lead to pain. Spinal manipulation is a very quick and effective method of restoring motion to these joints and allowing proper positioning of the head. Triggers points or ‘knots’ in the muscles of the neck can cause local neck pain. Trigger points in other areas of the body (e.g. the shoulders) can also cause pain referred into the neck. To the right is an image of the referral pattern of the upper trapezius muscle, a common source neck pain and headaches. A range of soft tissue approaches such as active release, trigger point therapy or ischaemic compression can be used to treat these muscles to relieve neck pain. Dry needling is a therapeutic technique using an acupuncture needle to penetrate the skin and stimulate the underlying tissue. Dry needling is very effective at treating deep trigger points in the muscles of the neck and shoulders. Stretches and mobilisation exercises can be used to relieve pain and promote healing in the early stages of treatment. Later, exercise can be progressed to improve strength, mobility and muscle balance to correct underlying dysfunction and aid in full recovery and prevention. In the case of cervical disc problems traction exercises can be very effective. In the example patient above (with neck pain resulting from a forward head posture), mobility exercises for the middle back combined with specific strengthening exercises for the shoulder and neck stabilisers would be important for long term relief and future injury prevention. Is chiropractic for neck pain safe? Yes. Chiropractic is widely recognised as one of the safest, drug-free, non-invasive therapies available for the treatment of nerve, muscle and joint complaints. Most patients experience immediate relief following chiropractic treatment for neck pain however, some may experience mild soreness, stiffness or aching, just as they might after exercise. Current research shows that this discomfort typically fades within 24 hours. Click here to find out how Chiropractic treatment at Dynamic Health Jersey CI could help. 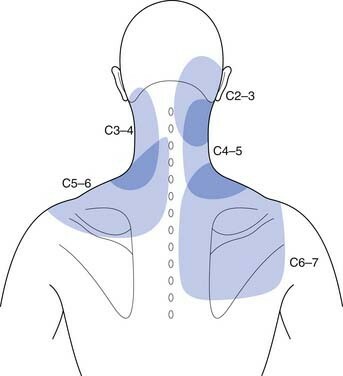 Redrawn from Dwyer A, Aprill C, Bogduk N: Cervical zygapophyseal joint pain patterns. I: A study in normal volunteers, Spine 15:453-457, 1990. ‘Chiropractic for Neck Pain’ was written by Steffen Toates. Steffen is a chiropractor at Dynamic Health Chiropractic in Jersey, Channel Islands. For more infomation about Steffen click here.